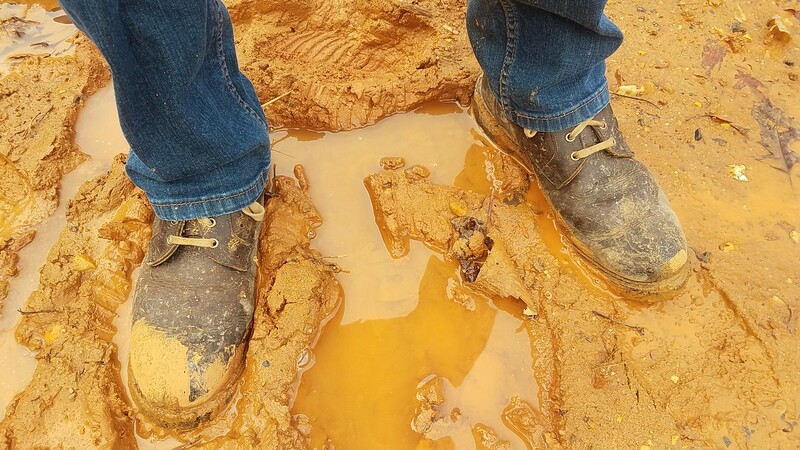 Have YOU had any issues with Allen Edmonds shoes or boots? 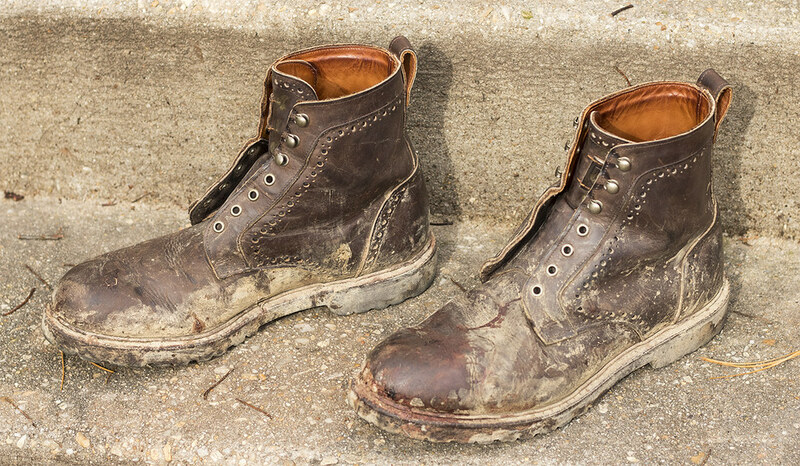 View Poll Results: Have YOU had any issues with "firsts quality" Allen Edmonds shoes or boots? 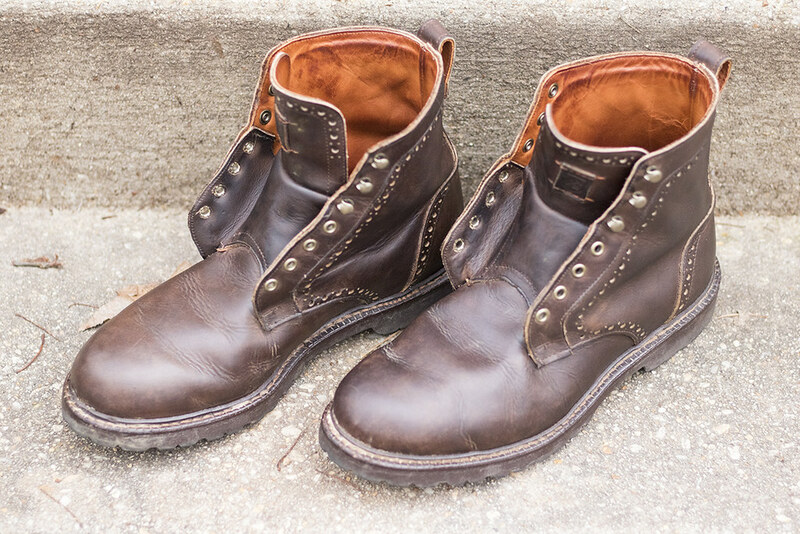 Thread: Have YOU had any issues with Allen Edmonds shoes or boots? So I just picked up my pair of AE seconds. And I must say. The service on the phone was excellent. Ans the shoes, for seconds, are excellent. Intentionally overdressed for almost every occasion. Yeah, the third pair turned out OK and I've been wearing those for years now. There's a little loose grain on this pair, but it doesn't bother me here. However, I'm currently dealing with the same issues with pairs of their CXL PTBs (through J.Crew with 40% off). First pair arrived heavily worn and scratched, second pair arrived new but creased and deeply scratched. Waiting on a third pair to see if the Alden Gods have smiled upon me. Next time order 3 pairs, keep the best one? I abuse the hell out of their return policy and they never seem to care. Yeah... that's a lot of coin to have out there waiting. Hey, I tried something similar with some chukka boots (two pairs) and they never sent the second pair AND didn't refund my money on those for almost three weeks. Ouch. Guess they assumed it to be an error. I've never tried that. What I do is order a bunch of stuff I think I might like, and order the same thing in different sizes if I am unsure on size, and then return whatever I don't like in person to my local store. They have never so much as asked why I am returning the stuff, they just refund it instantly. Jos Bank (which is fairly underrated for polos and extremely underrated for sweaters) is the same way. Return anything you order online in person and they refund it, no questions asked. I've pulled the same shens with sizes, ordering things I'm not sure if I'll like just so I can see how they look on me, etc. Who doesn't use a cc to shop online? Using a check card for that is not a good idea, imo. Sounds like a good way to have to fight a bank to get your money back in the event of fraud or a fight with a vendor. Use something like an Amex and see what happens when a vendor rips you off and refuses to issue you a return, Amex wipes it away and responds to the vendor with "lol". Funny, I came to this forum to post about this exact issue and if anybody had recommendations! After having a great shoe experience with JCrew, I now have a pair of shoes with a staple sticking out them after years of use. The original shoes were discontinued and JCrew was not willing to discount me on any of their shoes. I then went to Allen Edmonds, which was frequently recommended on Dappered. I ordered one pair on clearance, but the width was too narrow. Apparently, their site defaults at an A width and I guess normal size is a D. Who even knows their width apart from those with unusual sizing needs? After a week waiting for it to come, I was disappointed (and still wearing shoes with a staple poking into my foot). So I ordered another pair from Allen Edmonds on clearance in a different style. Now this one was the proper size, but there is a defect it seems in the left shoe where there's a huge bump - the pair is totally unwearable, extremely painful to walk in. Allen Edmonds does not offer replacement or exchanges for online orders and will only allow me to return the shoe in person or by mail. This is become a huge problem, and I'm tired of walking around on shoes that hurt all day in some form or another. I'm not going to try a third pair of AEs because their customer service is poor and their shoes apparently are also poor. I suppose at this point I'd rather get a brick and mortar store so I can try things on properly, but recognize that the discounts won't be that good. My understanding is that they started that a few months back. Or just sending one larger bag--that's what a friend of mine got. For what it's worth my Sturgis 2.0 have been taking serious abuse lately. I'll be rejuvenating them this week and taking them to TX for hunting duty. A month or so ago i did another cleanup and this was the result. The woven strand has my eye, to be fair.